Recent advances in conservation best practices, the widening availability of high-resolution remotely sensed land-cover data, and the dissemination of geographic information system capacity have created significant opportunities to reverse this trend. 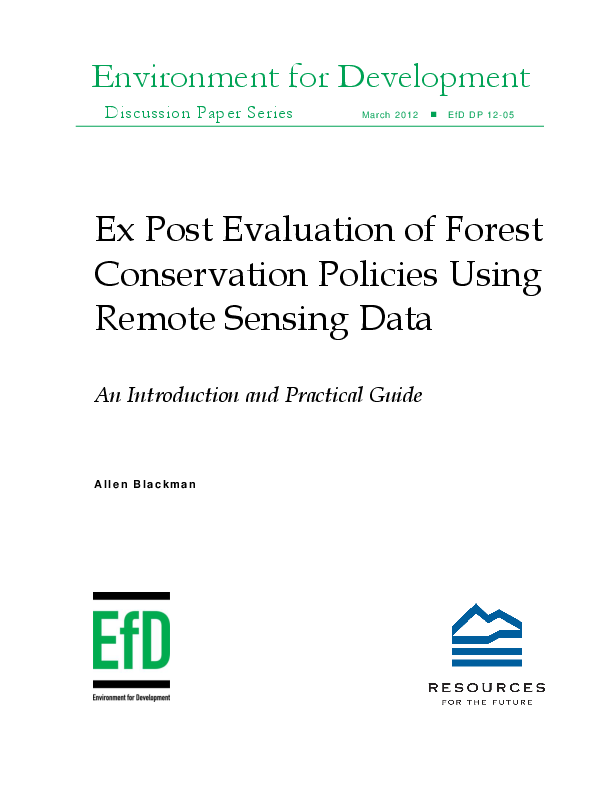 This paper provides a nontechnical introduction and practical guide to a relatively low cost method that relies on remote sensing data to support ex post analysis of forest conservation policies. It describes the defining features of this approach, catalogues and briefly reviews the studies that have used it, discusses the requisite data, explains the principal challenges to its use and the empirical strategies to overcome them, provides some practical guidance on modeling choices, and describes in detail two recent case studies.